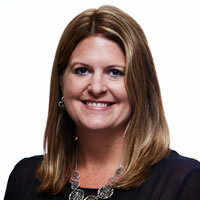 Jennifer Foster is a Business Development Executive, Destinations for STR (STR, Inc.). STR provides clients from multiple market sectors with premium, global data benchmarking, analytics and marketplace insights. Founded in 1985, STR maintains a presence in 10 countries around the world with a corporate North American headquarters in Hendersonville, Tennessee, and an international headquarters in London, England. In her role, Mrs. Foster is responsible for building and maintaining positive relationships between STR and both new and existing destination clients in the Southeast, Midwest and East Coast regions of the U.S. She is often featured as a guest speaker for hotel industry presentations. Prior to joining STR, Jennifer served as the Regional Sales Manager for Mayflower Tours and Vacation Express, where she worked on worldwide tour packages for a variety of groups and travel agencies. She is a graduate of Vanderbilt University with a bachelor’s degree in European Studies.